I’m a SEO Account Manager at TopRank Online Marketing – which means I have the enviable job of developing and managing SEO programs for several TopRank clients. One of the many benefits of my job is that I have the opportunity to work daily with some of the most intelligent and forward thinking companies around (you know who you are). 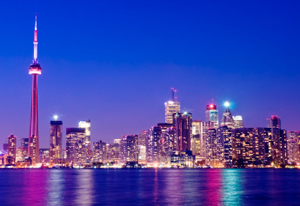 As I head to SES Toronto, I go with my clients’ goals and needs at the front of my mind. This is a no brainer. Although there are numerous SEO strategies, good content marketing is the engine that drives a successful online marketing program. 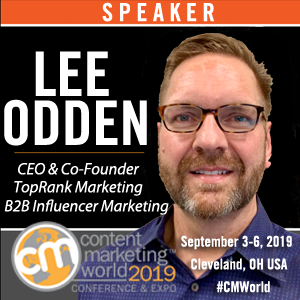 TopRank CEO Lee Odden (I call him “boss”) leads a presentation on unlocking the SEO potential of a brand’s content. 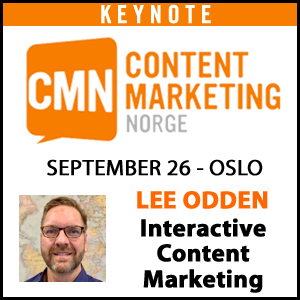 In the session, Lee will offer insight into how companies can elevate their content-based optimization strategies and increase process efficiencies for content creation and promotion. My TopRank Account Manager Take: Content development and promotion is core to our work. The minute I stop proactively looking for ways to elevate our approach to content marketing is the minute our content begins to lose its relevancy. If you listened to Lee speak before, you know you will walk away with a ton of ideas. If you haven’t heard Lee speak, you really should. Cleverly titled, this session seems to have the meat to support such a promising name. 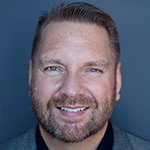 John Alexander, of SearchEngineWorkshops.com and Search Engine Academy, will focus the session on uncovering keyword variations overlooked by most Webmasters. Alexander also promises to dive into the hidden behavioral trends of different search personas. Understanding these trends will help determine what search results are REALLY most valued by your target audiences. My TopRank Account Manager Take: This session immediately piqued my interest because I personally view the selection of keywords as the make or break point for a SEO program. Why? Keywords dictate strategies and tactics. Keywords also represent different persona and audience needs. To start a program with the wrong keywords is akin to heading north to go south=it’s not going to work out well. My TopRank Account Manager Take: There are literally too many tools for surveying and analyzing online marketing competition. The problem is that when one stops to consider all these options, it can likely turn into the classic: paralysis by analysis. When a panel of pros meets to share the tools they use to assess the competition, I’m all ears. As Facebook continues to evolve at an impressive rate, so too do the online marketing opportunities within this 700+ million member social network. From Facebook Ads to Fan Pages, and Sponsored Stories to Groups; options to target and engages audiences are abound. Marty Weintraub, President of aimClear, another fine Internet Marketing agency from Minnesota, hosts this Facebook targeting session, with a focus on reviewing some of the most successful Facebook marketing campaigns to identify their common characteristics. 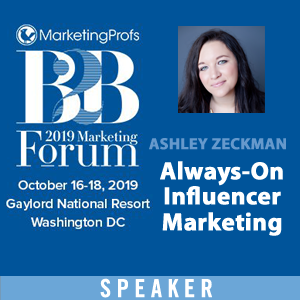 My TopRank Account Manager Take: Too often companies view the success of their social media efforts in terms of Fans, Friends and Followers instead of affecting business outcomes. The fatal flaw for many companies is the assumption that audiences can’t engage and transact with a brand through their social channels – that those interactions must happen on a corporate website. Facebook may be the leader in providing companies with a variety of ways to create a rich user experience for their audience. I can’t wait for this one. Of course I’ll be sitting in on more sessions than 4, but these are my core. Both Lee and I will be liveblogging sessions so be sure to watch for the #SESTO hash tag on Twitter, our Facebook page or just come back to Online Marketing Blog. If you’re new to SES conference, I’d recommend reading this helpful post on how to get the most out of marketing conferences. There’s a 20% discount for TopRank Online Marketing Blog readers – just use the discount code: TRB20. Can’t stress your point about content marketing enough. I feel like that pretty much summarizes every SEO-related blog entry at this point.